One of the most obvious solutions to prevent further climate change is energy usage reductions, but with the increased magnitude of global energy consumption, these seem unlikely anytime soon. Spence et al. (2014) explore whether energy savings is most beneficial when presented in terms of financial cost, CO2, or kilowatt-hours. 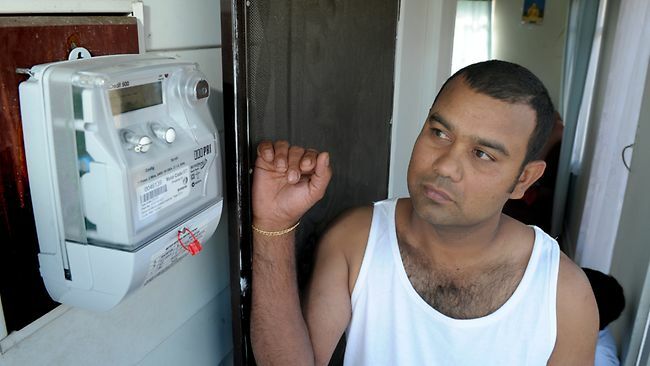 In the United Kingdom, smart meters are used to measure the energy consumption of private residences. Although the government is pushing to have smart meters be standard in every home, only half of the population know what they are, and of those who do, only a quarter understand their purpose. Framing energy consumption in terms of cost is a very easy concept for consumers to understand but due to varying energy costs, the benefits of energy reduction are not often clear. Presenting energy consumption in terms of CO2 release is not as easily understood as financial cost, but is thought to reduce the “psychological distance” of climate change. Spence et al. also found that environmental framing encourage behavioral spillover, the idea that changing one behavior for environmental reasons often leads to picking up other environmental behaviors as a result. Two studies were conducted, both using samples of undergraduate students from the University of Nottingham. The first of the two studies found that when offered energy savings in terms of CO2 output, students were more often motivated to save energy because of climate change, but when presented with energy consumption in terms of cost, students typically stated financial reasons for reducing energy consumptions. The second of the two studies suggested that environmental framing “increased climate change salience”. Both studies supported the notion that environmental framing made climate change more accessible and increased desire to make a difference. This desire increased the likelihood of individuals developing other environmentally friendly practices. Spence, A., Leygue, C., Bedwell, B., O’Malley, C., 2014, Engaging with energy reduction: Does a climate change fram have the potential for achiecing broader sustainable behavior?. Journal of Environment Psychology 38, 17-28. This entry was posted in Energy Efficiency, Margaret Loncki, Smart Grid and tagged Alexa Spence, Benjamin Bidwell, Caroline Leygue, Claire O’Malley University of Nottingham, Climate change, Economic framing, Energy Consumption, Environmental Framing, Smart Meters by Emil Morhardt. Bookmark the permalink.